Here's an interesting fact: Every cell in your brain can form a tumour. When you consider this along with the fact that your brain interprets information from every other part of your body, it makes sense why the list of brain tumour signs and symptoms encompasses just about anything. That being said, brain tumour symptoms will depend largely on the location of the tumour. For example, if you have a tumour near the part of your brain that controls your eyesight, you'll have blurry vision. If it's near the part that controls your arm, you may have numbness in your arm. Still, there are some symptoms that all brain tumour patients experience - regardless of their type of tumour. Keep reading for four of them. 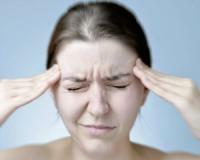 Seizures are often the first brain tumour warning sign. The abnormal movements are a result of irritation from the tumour that’s making you brain’s neurons fire uncontrollably. While some people may experience whole-body convulsions, others may experience flexing or jerking confined of one limb or part of their face. You may feel confused, have trouble remembering things or suffer less-dramatic thinking problems. However, radical shifts in your behaviour or personality like you hear about or see in the movies are highly unlikely. ...in as little as ONE HOUR!" Turns out, there's a Bavarian farm about 603kms north of where I landed in Switzerland, that has a very unusual - and very powerful - plant growing in its garden. If you saw it, you might think it was mint...or maybe just a regular old weed. • Plus it makes your thought patterns more efficient...as information flows effortlessly between neurons. And it can do ALL of that - starting in just one hour. Click here to see this powerful brain-booster revealed for the very first time. Struggling with your balance (that type of clumsiness in your hands, arms or legs), missing steps and fumbling with keys could all me a sign of trouble This type of clumsiness can show up around your head, too, and cause symptoms like problems controlling your facial expressions, speaking and swallowing. Losing feeling in a part of your face or body is something to keep a keen eye one. If a tumour forms on the brain stem – the place where your brain and spinal cord connect – you’re likely to experience loss of feeling and clumsiness. If you’re experiencing any of these brain tumour symptoms, consult your doctor immediately.